Foursquare just tweeted this image, a dramatic illustration of how seriously the lower chunk of Manhattan was affected by Hurricane Sandy. Union Metrics and Tumblr announced today they are cooperating on the “first full-fidelity” Tumblr analytics platform for marketers. The dashboard allows brands who use Tumblr blogs to make sense of the 75 million blogs and 32 billion posts currently on the network. To illustrate what it can do, Union Metrics sent over this graphic of the way it can chart what happens to a Tumblr post once its starts being reblogged by followers. Although users could always see this information underneath each of their own individual posts, analyzing it was inconvenient. Now that Amazon is going all-in on tablets, and likely to release its own smartphone, the comparisons between it and Apple are going to pick up. 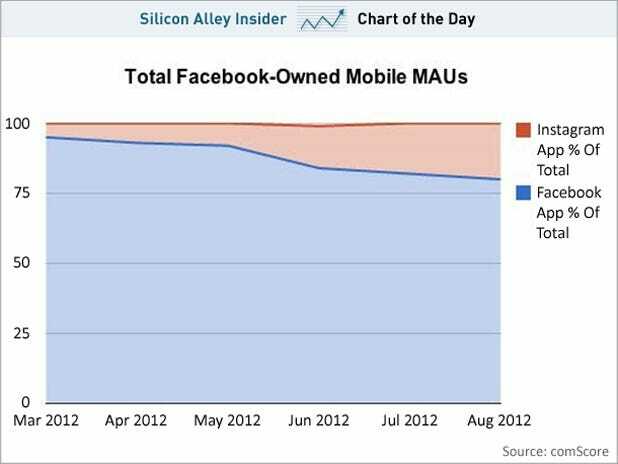 Below is a chart from Dan Frommer at ReadWriteWeb that shows the biggest difference between the two companies. 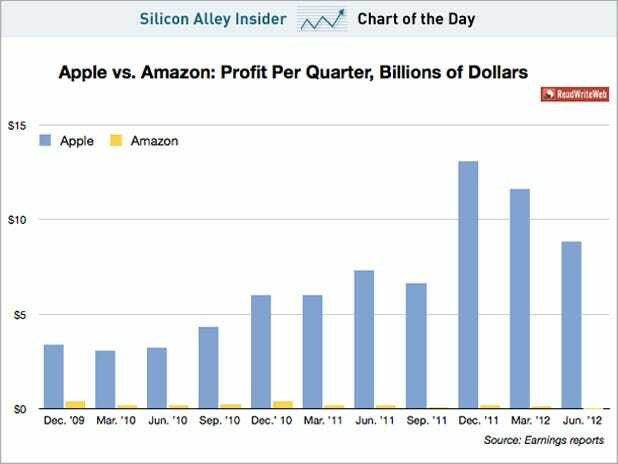 Apple, as you can see, makes an insane amount of money each quarter, whereas Amazon does not. This is because Apple sells very expensive hardware while Amazon is a retailer who operates on very thin margins. Jeff Bezos is okay with this arrangement. He says Amazon charges low prices because it wants to be in alignment with its customers, who want low prices.